It's just the way that they manage to get so much done in such a short space of time. It's three minutes. Change. Two minutes. Change. But they manage to get all of these beautiful things to happen, and I think you can sense that something amazing is about to happen. With the transition in British pop music at the time, it was losing a lot of the peace and love and starting to get quite moody. It reflected a lot of things that were happening, or at least on the horizon, at the time. The economy, the Vietnam war, the Troubles in Ireland, all of these different things. 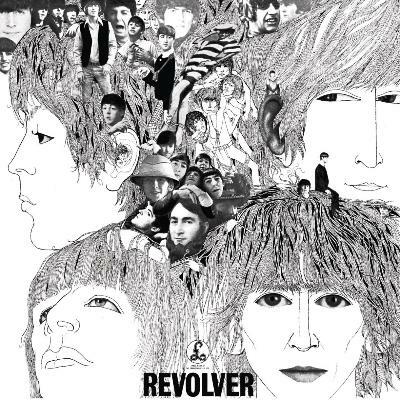 You could sense that something was happening to The Beatles on Revolver. It was exciting for me as well, because the stuff on this album is a long way off from 'She Loves You'. It was all quite mature and sophisticated. From day one I was a Beatles fan though. Those tunes are infectious and it's impossible not to like them. There's just something about their instant communication that I really love. I still listen to them now, and I find their music very inspiring. They were a direct influence on 'Breaking The Law' and 'Living After Midnight'. Those two songs are straight out of the Beatles songbook as far as simplicity and getting to the point goes. Short, little songs that sail away in a short space of time and are packed with hooks, melody and riffs.